After studying in the hotel industry in the Netherlands and two years at a large hotel in New York, MadelijnVervoord – born in Holland – arrived in Paris at the age of 24 years. From 1990 to 2003 , she worked for the biggest hotel brands including InterContinental Paris Le Grand . General Manager at InterContinental Hotel Marseille Hotel Dieu since opening April 26, 2013 , she is particularly pleased to work towards the transformation of Marseille in cultural and economic city and welcomes the positive mutations known to this great city and major projects animate it. 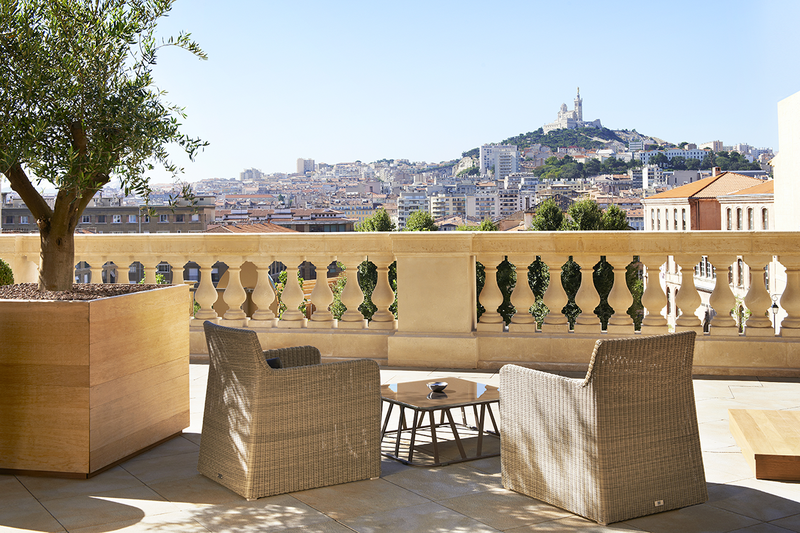 The InterContinental Marseille – Hotel Dieu perched atop Le Panier, the oldest part of the second France’s largest city, is established in a majestic XVIIIth century building. 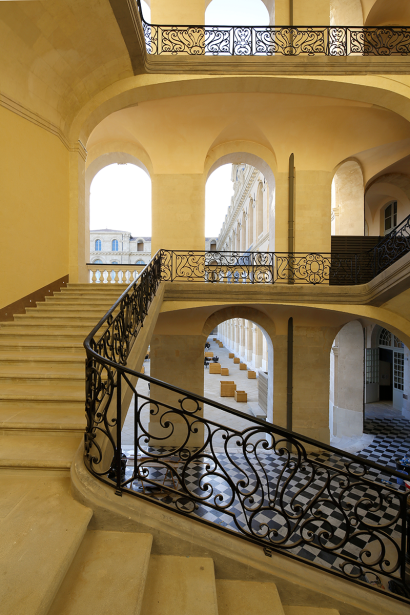 Designed by a nephew of Mansart, with its superb staircases, vaulted passageways and large terraces, overlooks the city and offers spectacular views of the Vieux Port and the iconic Notre Dame de la Garde Basilica. A magnificent location for a unique building that is a listed monument! With 194 rooms, including 15 suites. 72 rooms offer sensational, panoramic views of the Vieux Port and a number of suites have their imposing private terraces, overlooking the city. The architecture of the hotel remains faithful to the spirit and the history of this venerable institution. Its minerality echoes that of the city with its ancient monuments, it also draws its inspiration from the Mediterranean Ocean, cradle of civilization. The InterContinental Marseille – Hotel Dieu is there to ensure that this unique Marseille experience will include your palate: in addition to the 80-seat brasserie restaurant that extends onto an outdoor terrace with a superb view, the hotel also boasts a Michelin star gastronomic restaurant with 40 seats proposing local fish and seafood specialties. 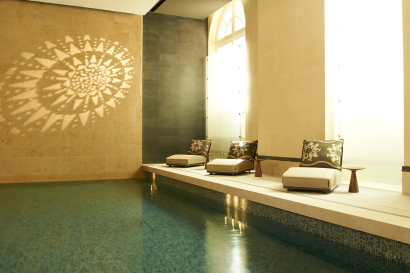 For relaxation, the hotel proposes a Spa by Clarins. The InterContinental Marseille – Hotel Dieu is pleased to host an array of events in its 1,000 m2 conference centre. In addition, its cultural centre will serve as a showcase for its ancestral, architectural heritage. A sustainable pilot project, the InterContinental Marseille – Hotel Dieu is the first hotel ever to be restructured subject to an environmental quality certification. Designed by architect Jean-Philippe Nuel. Historical listed monument from the 18th century that was the former Hotel Dieu. 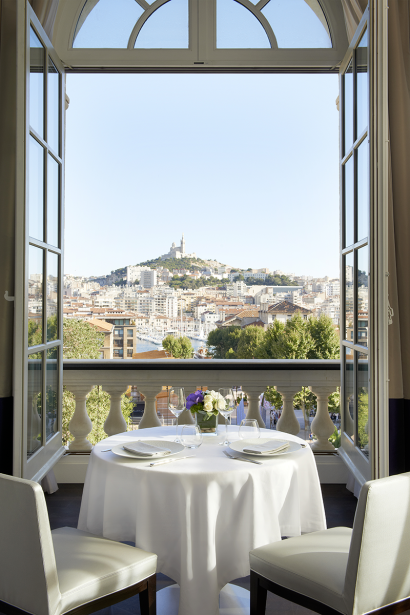 Well located in the city center of Marseille and easy walking distance to main museums, best local restaurants and shopping area. 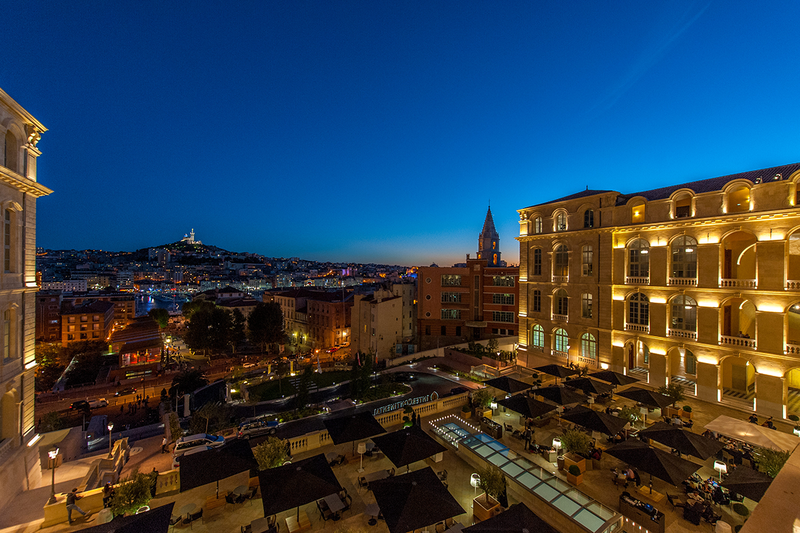 Great panoramic views over the old harbor of Marseille and Notre Dame de la Garde Basilica. Marseille, the new gateway to Provence (20 minutes to Aix-en-Provence, 40 minutes to Arles and Avignon, 30 minutes to Cassis, 1hour away to Lavender fields, Baux de Provence, St Remy de Provence, Gordes…) Marseille elected European Capital of Culture 2013. Marseille is a very sunny city with 300 days of sun per year. 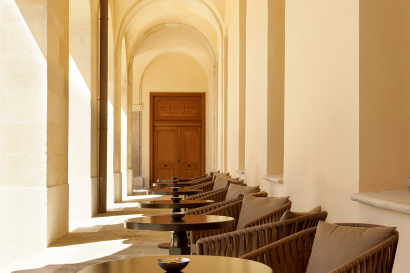 The InterContinental Marseille – Hotel Dieu is perfectly situated at the very gateway to Provence; a region that offers a host of activities that allows all to discover the very essence of all that makes Provence so very special. Perched atop the Panier hill, in what is the oldest district in Marseille, the hotel is right beside the world-famous Vieux-Port, the cultural and historic centre of France’s second largest city. Le Panier historical neighborhood with La Vieille Charité Museum and local designers’ shops, Local Museums: MuCem, Museum Regards de Provence, Frac, Palais Longchamp, Mamo, Le Corbusier building…, Notre Dame de la Garde Basilica, La Major Cathedral, the Calanques National Park, If Castle, Shopping (Galeries Lafayette, Printemps department stores, Les Terrasses du Port, Les Docks, Les Voutes de la Major, luxury boutiques such as Louis Vuitton, Hermès, Armani….). Soap and Pastis factories. Wine tastings and olive oil tastings. Provence traditional villages. I Brunch on Sundays (check out dates). BBQ Chic on the Terrace in the summer (check out dates). Exclusive cruise with our InterContinental Boat in the Calanques. VIP access to the Swimming Circle of Marseille (upon request with additional fees). Concerts in the Bar Capian from November to April on thursdays, fridays and saturdays. Tea Time everyday at Bar Capian from November to April. We offer Family rooms where we can accommodate up to 2 adults and 2 kids sharing the same room. VIP amenities given at check in for kids up to 12 years old. Robe and slippers, shampoo and shower bath for kids. Special kids menu at Brasserie Les Fenêtres, and on request at Alcyone Michelin Star. The hotel has a total of 179 rooms and 15 Suites. 68 overlook the Vieux-Port and 33 come complete with private terraces. White leather headboards, an embroidered Provençal throw and the old-style bath tubs all serve to remind the guests that this is an old, venerable building that has been gently yet efficiently modernized. The 15 Suites are composed of 8 Junior Suites, 6 Prestige Suites and a Presidential Suite with an 80 m² private terrace. 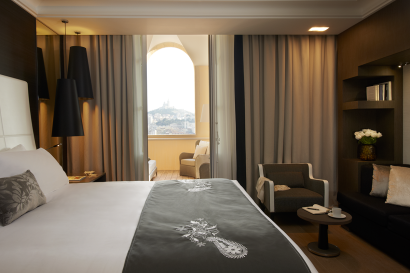 All of the Suites, with their marvelous high ceilings, offer breathtaking views of Notre-Dame de la Garde and the Vieux-Port.. Connecting rooms on request. Family rooms accommodating 2 adults and 2 kids sharing the same room or 3 adults and 1 kid. 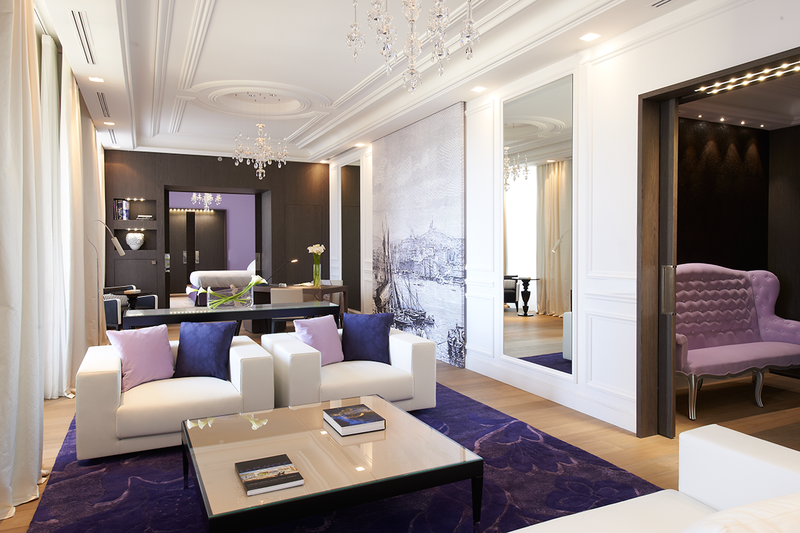 • Presidential suite from 156 square meters. 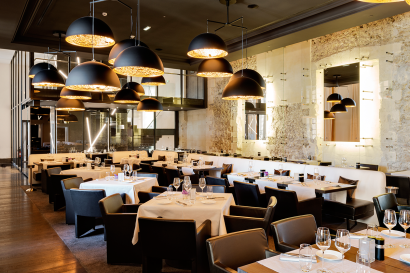 The gastronomic Michelin star rated restaurant “Alcyone”, is a real tribute to the many different flavours to be found in Marseille. The vibrant cuisine is inspired by the local natural resources and the creative, innovative menus feature garden fresh regional produce in season. Each dish is a story in itself, inspired by the Mediterranean, the cradle of civilization. 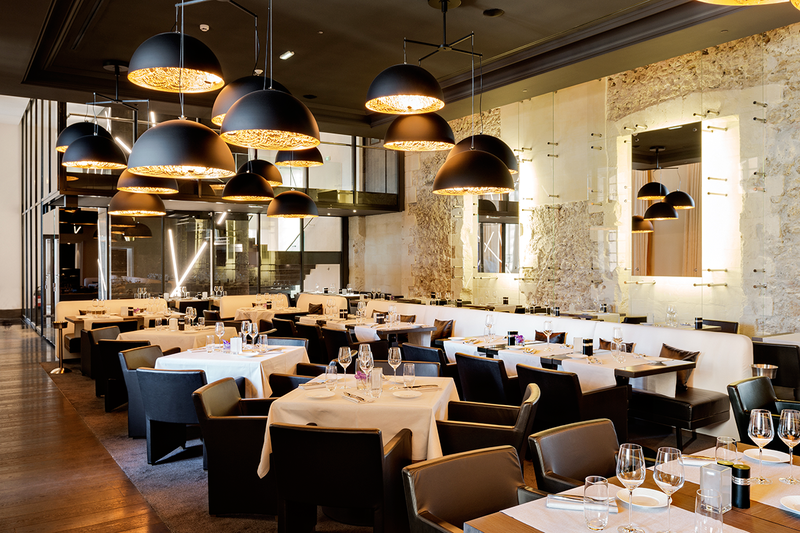 Les Fenêtres is decorated in a traditional brasserie style with banquettes and tables offering an intimate atmosphere. It will cater for up to 80 guests. 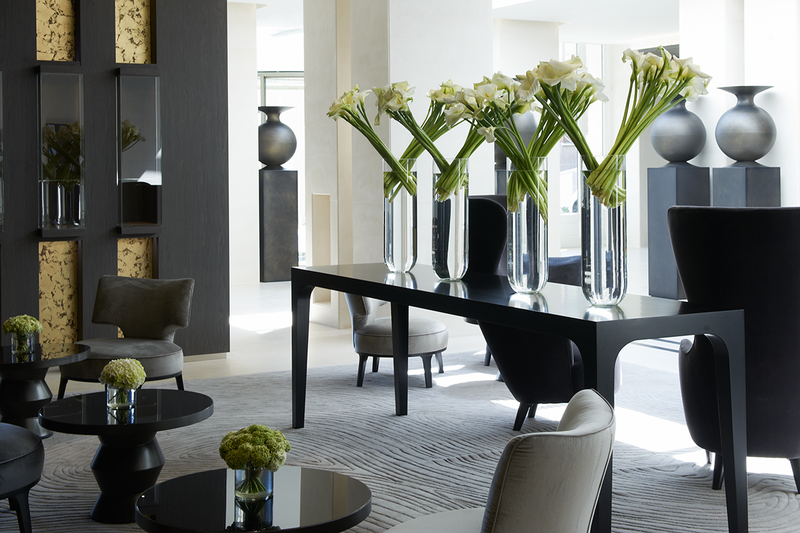 The imaginative design using glass and mirrors underlines the stylish, harmonious overall aspect. The Mediterranean cuisine is, of course, de rigueur! However, all visitors, both local and international are catered for, with a well designed menu providing a large range of choices. A real-life Rendez-vous with Marseille. Sip your favourite cocktails in the chic contemporary setting of “The Capian” bar, either comfortably installed in the lounge or on the delightful terrace overlooking the Vieux-Port. 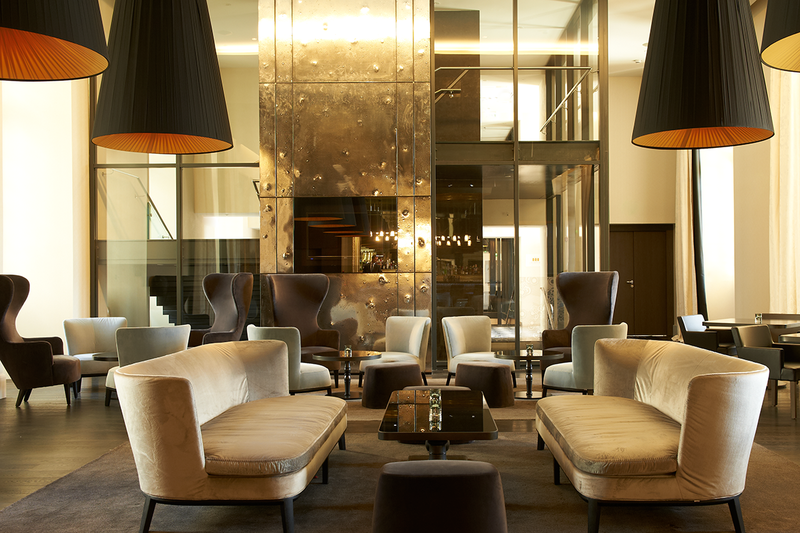 Discover the welcoming, intimate atmosphere here, where music, artists and high society mingle and blend. • Indoor swimming pool, fitness center, sauna, sensorial showers, hammam. • Private coach to train clients every day. The 1,000 m2 conference centre (10 meeting rooms) can cater for all your convention needs: a suitable venue for your every occasion. All meeting rooms are equipped with the latest technology. Integrated into what is typical of Marseille and makes the InterContinental Marseille – Hotel Dieu the perfect, new and innovative destination for all your upcoming events. 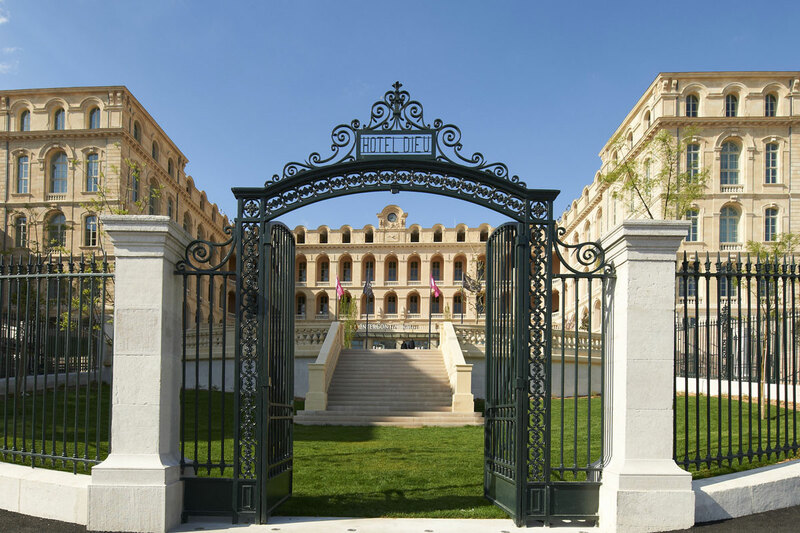 To ensure that your event is a success, InterContinental Marseille – Hotel Dieu places its full range of expertise at your service for unified communication with the event organizers. We promise rapid confirmation of availability, clear calculation of rates and the latest technology that can be adapted to any type of event (virtual visits and interactive conference plans available). InterContinental Meetings are delivered by a highly-trained team focused on understanding your needs and staging an event that is tailored to you. Every element of our service and technology is designed to simplify the event planning process, from fast availability checks and transparent pricing to the latest technology tools such as virtual tours and fully interactive floorplans that can be customised to each event. Yoga or any other training session courses on request organized by our coach from the Spa by Clarins.